No-Nonsense way to use PE Ratio. PE Ratio is one of the most widely used fundamental ratios for evaluating the stocks. From Benjamin Graham’s time to the current world, the essence of PE ratio hasn’t changed. In this post, I am going to explain how you can use Price to Earnings (PE) ratio the right way for comparing stocks. Further, we’ll also discuss how ‘not’ to use PE ratio. Just looking at the share price of a company makes no sense. Apollo Tyres is currently trading at a market price of Rs 267.15. What can you tell about the valuation of Apollo Tyres? Is it cheap or expensive? Here, you cannot say that JK Tyres is under-priced just because its current market price is less than that of Apollo Tyres. Even a company with a market share price of Rs 2,000 can be cheap and another company with share price of Rs 15 can be expensive. The biggest problem while comparing companies based on share price is that the companies have different numbers of outstanding shares. That’s why we need a more relevant tool for comparing stocks. One of the simplest tools that the investors are using to evaluate stocks is Price to Earnings ratio. 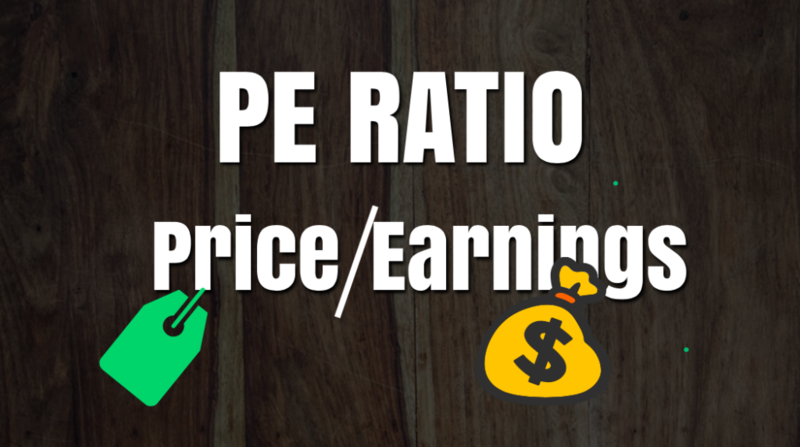 PE ratio is a simple evaluation tool for stocks, however, it can be difficult to interpret for the beginners. From the name itself, you can explicate that it measures the market price of a company’s stock relative to its earnings. PE ratio of a company can be compared with that of other companies, unlike their current market price. Here is an example of two companies- A and B from the banking sector. In the above table, you can notice that with the same earnings, company B is trading at a higher share price. Therefore, here we can say that company B is overvalued. (Although there can be few other reasons for the market favoriting the company B [high PE] which we are going to discuss later in this post). As a thumb rule, while comparing the PE ratio of two companies, the company with lower PE ratio can be considered undervalued. On the other hand, companies with higher PE ratio are over-valued. Nevertheless, the comparison should be apple-to-apple. Comparing apple-to-oranges makes no sense. What I mean by apple-to-apple comparison is that both the companies should be from same industry. A banking company can be compared to another banking company. However, a banking company should not be compared with an automobile company based on their PE. Also read:How to do the Relative Valuation of stocks? How to calculate PE ratio? PE ratio = Price per share/ Earnings per share. Many a time, the last 4 quarters earnings are taken as the annual EPS of a company while calculating PE. This is called trailing earnings as the past performance of the earnings is considered here. NOTE: Trailing PE ratio is dynamic. It keeps on changing as the market stock price of the company consistently changes day-to-day. On the other hand, the earnings of the company are released every quarter. As we are using the current market price and past earnings per share, the trailing PE ratio might show some higher value. That’s why some investors prefer ‘forward PE’ or ‘leading PE’. Here they use projected future earnings. The earnings of the company for the next 12 months is estimated for calculating the PE. If forward PE is less than the trailing PE, this means that the EPS will increase in future. On the contrary, if forward PE is greater than the trailing PE means that the EPS will decline for that company. Further, often the investors also find the historical average PE ratio of the stock to compare with its current PE ratio. Let’s say, you find the average yearly PE ratio for the last 5 consecutive years for a company. By comparing the current PE ratio with the historical PE ratio, you can evaluate whether the company is overpriced or underpriced, based on its own history. There are few companies, who have zero profit or negative earnings. In such scenarios, the PE ratio doesn’t exist. Price to Earnings ratio is not interpretable for a non-profit making company until the company becomes profitable. While learning PE ratio, it’s also good to understand PEG ratio. PEG ratio or Price/Earnings to growth ratio is used to find the value of a stock by taking in consideration company’s earnings growth. This ratio is considered to be more useful than PE ratio as PE ratio completely ignores the company’s growth rate. As a thumb rule, stocks with PEG ratio less than 1 are considered undervalued relative to their EPS growth rates, whereas those with ratios of more than 1 are considered overvalued. How to use PE ratio- the right way? Theoretically, PE ratio tells how much investors are willing to pay against per share of earnings of that company. For example, if the PE ratio of a company is 30, it means that the investors are willing to pay Rs 30 per share, for the earnings of Rs 1. That’s why a lower PE ratio is preferred. It means that you are paying less for the company for its per share earning of Rs 1. Overall, PE ratio tells whether the company is trading at a premium or discount. The PE ratio of the companies varies from industry to industry. The average PE ratio of some industries is higher than that of the other industry. This may be because of the market value of one industry above than the other, depending on its growth rate or business model. You can notice here that the PE ratio of most of the companies in Oil and gas industry is less than 25 and that of FMCG & Personal care is greater than 50. Therefore, if you compare the PE of a company from oil and gas industry to that of another company in the Personal care industry, you will always find the oil and gas company cheaper. If you follow this apple-to-orange comparison approach, you will never be able to buy ‘apples’. Further, there’s no universal rule for the PE ratio. For example, you cannot consider companies with PE less than 25 as undervalued in all Industry. For some industry, the average PE might be less than 25 and for others, the average might be greater than 25. In short, while evaluating the companies based on PE ratio, always compare the company with its competitor or the industry. If the PE of a company is less than its competitors and the industry average, then it can be considered as undervalued. While comparing PE ratio, low PE doesn’t always mean that the company is a good investment. There may be some valid reasons why the market is hammering that company. For example, the company’s business model might be declining. Or the investors can notice financial trouble for the company in future. Further, there might not be any growth opportunity for that company, and that’s why it is trading at a low PE. Low PE ratio might be considered as a discount. However, discount products are not always good. Further, for a high PE ratio company, the investors might be looking at a high growth in the future and increase in earnings. That’s why they might be willing to pay a premium to buy that stock. The biggest drawback of using PE ratio is that it doesn’t consider the growth aspects of the company. PE ratio is a simple and effective fundamental tool that gives a lot of information about the companies valuation. However, there are few loopholes when using PE ratio as a single deciding factor while investing in stocks. While evaluating the PE ratio, always compare the PE of a company with the other companies in the same industry. You can also compare the current PE of the stock with that of market PE or company’s own historical PE ratios. If you are new to stocks and want to learn how to invest in Indian stock market from scratch, then here is an amazing online course: INVESTING IN STOCKS- THE COMPLETE COURSE FOR BEGINNERS. Enroll now and start your share market journey today.